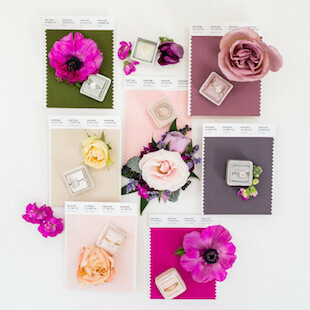 Announced earlier this year, online wedding market WeddingWire and The Pantone Color Institute have teamed up to create the perfect wedding color palettes. The two companies collaborated on four color palettes with the goal that no matter when a wedding is planned, the combinations will work for any season. According to WeddingWire, color is one of the first items couples decide on when planning their wedding. "Color is a powerful tool – not just for enhancing aesthetics that are critical to every element of a wedding – but to evoke emotion and create the special mood that a couple wishes to communicate throughout their special day from playful and adventurous to romantic and timeless, and everything in between," said Laurie Pressman, vice president of the Pantone Color Institute in a press release about the collaboration. 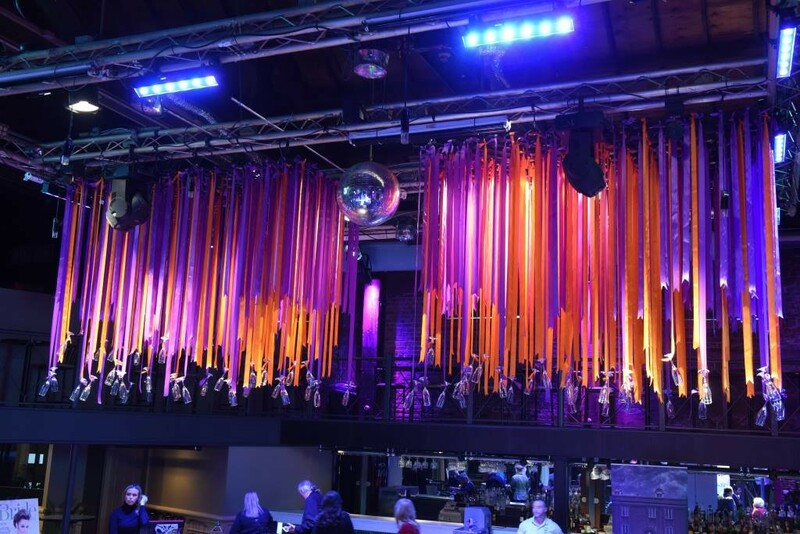 "In concert with the resources and planning tools from WeddingWire, these custom palettes created by The Pantone Color Institute are intended to help couples navigate their color and design choices in an inspiring, meaningful and uniquely memorable way." The second palette, “Golden Hour,” is comprised more of natural tones and brings a sense of fall nature with it. “Warm neutrals in this palette offer the opportunity to incorporate one of 2019's most popular texture trends: pampas grass, a natural colored wheatgrass that pairs well with minimalist florals,” said WeddingWire. “Paradise Found” is the third palette in the series and another big favorite of ours. There is something about blue hues and the complement of orange or coral – like Pantone’s Color of the Year “Living Coral” – that draws people in. “'Paradise Found' represents a refreshing escape to an idyllic destination, no matter where the couple's wedding is located,” said WeddingWire. “The playfulness of the palette invites couples to mix and match wedding party attire — including groomsmen suiting and accessories in fun colors across the spectrum. No matter what color scheme is chosen, WeddingWire knows that it all stems from the couple’s favorite hues and personality – with the most popular colors, as reported by WeddingWire, being blue, purple, red and pink. For more information on the WeddingWire and Pantone partnership click here.